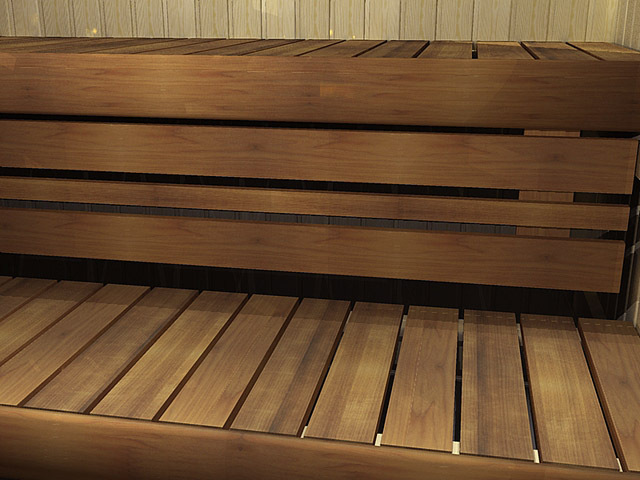 A harmonic, beautifully symmetric sauna that fits best at public spaces such as fitness clubs, or for VIP areas, as the parallel upper benches are great for socializing, and enjoying the sauna steam from the centrally placed heater. 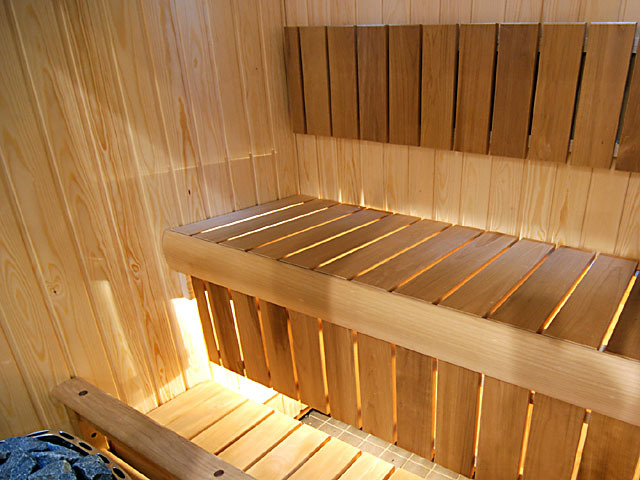 In saunas made of spruce and pine the benches are made of heat treated aspen, and in alder saunas they are alder. 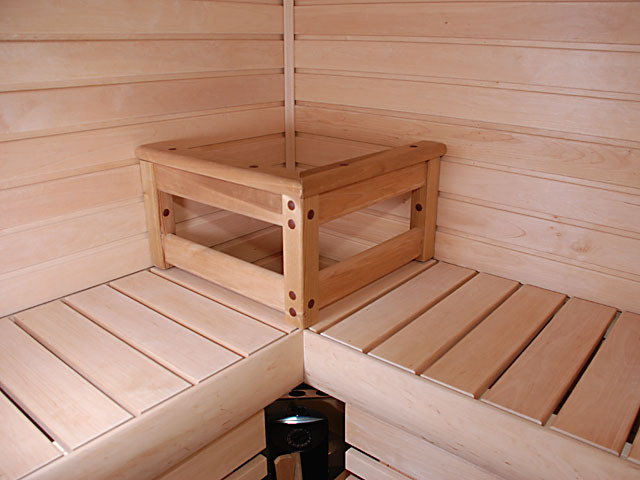 The sauna walls are very sturdy and well insulated, keeping the heat inside the sauna. 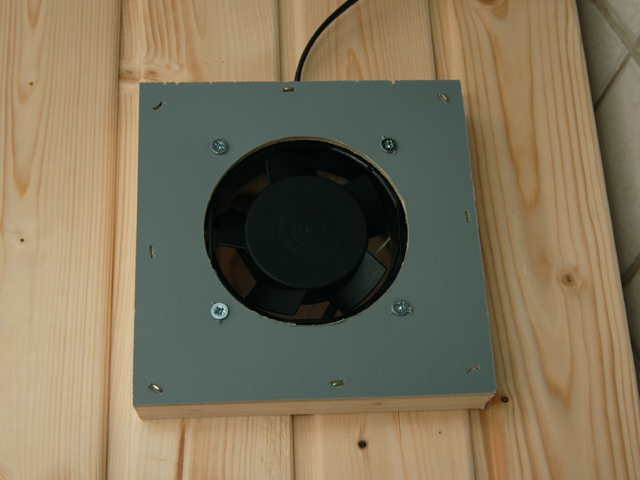 Air fan brings fresh air from above to bathers head level and pushes hot air down to the feet level. 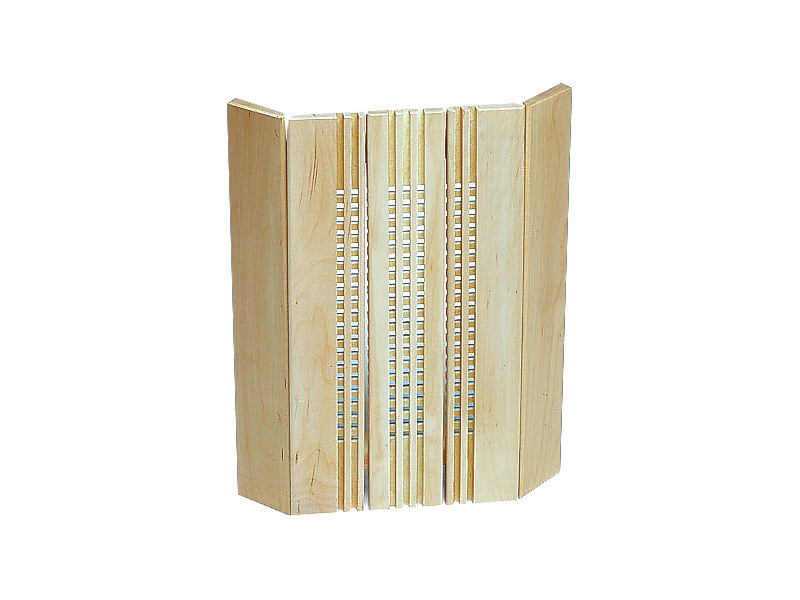 Wall structure: 15 mm panelling on both inner and outer surfaces, a 45 mm wooden frame with a fibre insulation material, and an aluminium paper seal on the inner side of the frame. 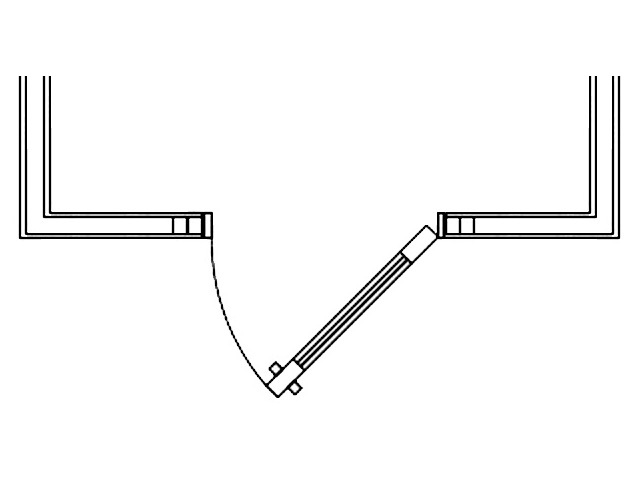 Two electrical cable conduits lead within a wall from the roof to behind the heater. The sauna does not have its own floor. The largest wall unit is sized 90 cm x 195 cm (thickness 75 mm), weight about 40 kg, so two persons are needed to lift the sauna parts indoors. The benches are delivered as preassembled units. 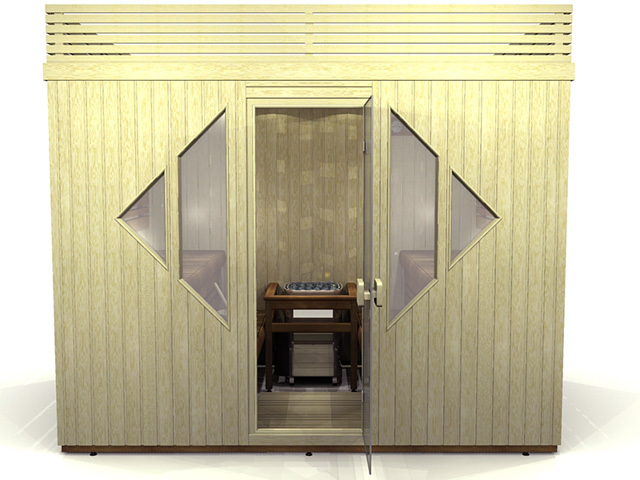 The FM2619 is a large sized sauna for a VIP or public space such as a fitness club. 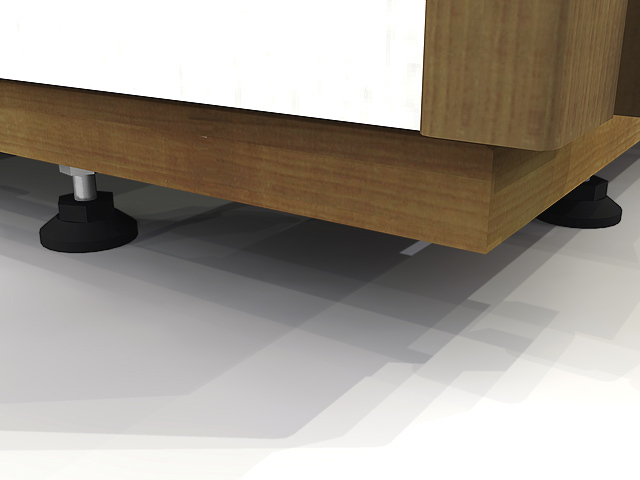 In preparing the location where the sauna is to be installed, consider that the sauna does not have its own floor, so the room floor needs to be moisture sealed underneath the sauna with water sealed tiling, or a vinyl carpet to be placed under the sauna, so that any spray water is lead to a floor drain. 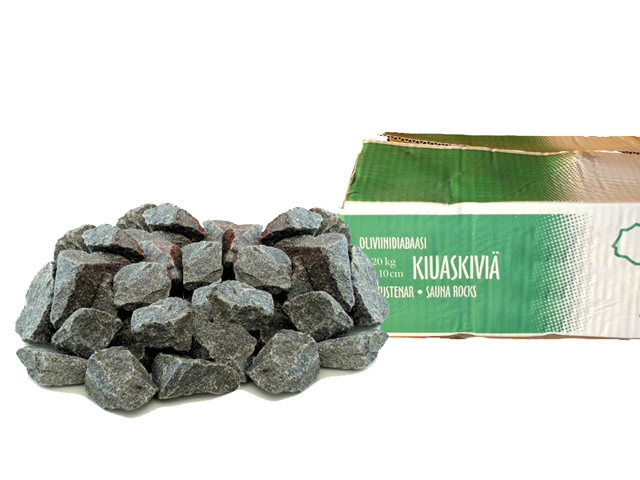 Also prepare the electrical feed for the sauna. 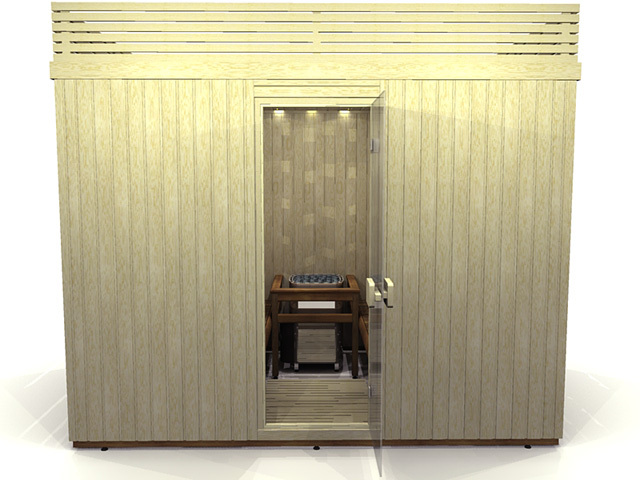 Choose a suitable sauna model according to your space. 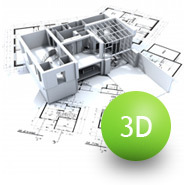 You will find the right one among our standard models. Measure your space carefully. Make sure you leave enough room to move about around the sauna, and use our easy to use modeling tools to visualize which model would best fit your space. In measuring the space for the sauna add extra gap of 3cm on each side for assembly. 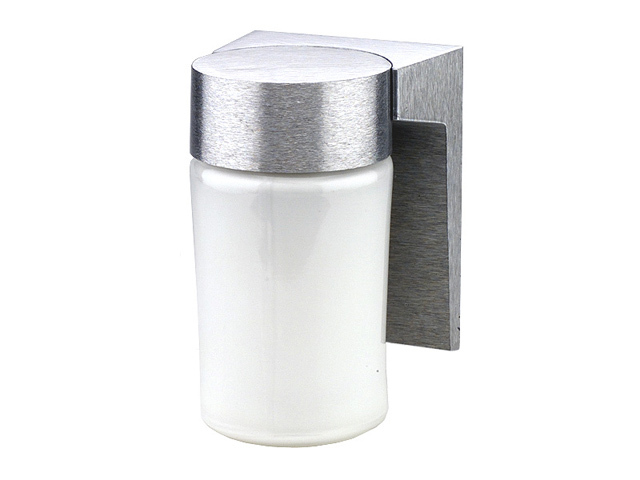 Make sure no items needing to be accessed are left behind the sauna, such as water taps. A water heated radiator is ok to leave behind the sauna, but an electrical heater should be removed, or at least you must respect the safety distances indicated by the radiator manufacturer. 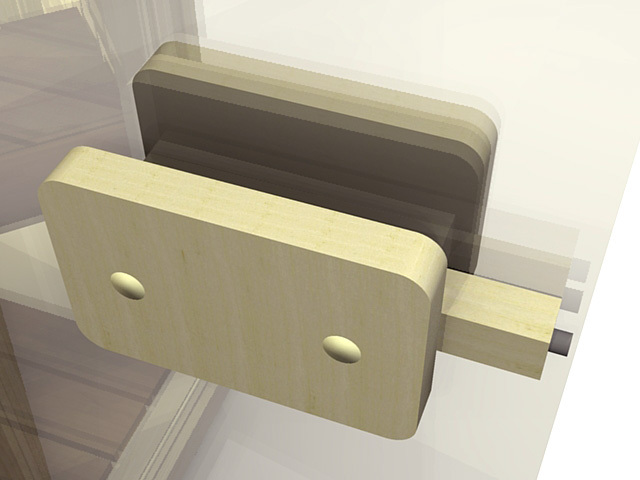 It is possible to make an opening in the sauna in the place of the radiator valve for access. Please contact us with this issue. 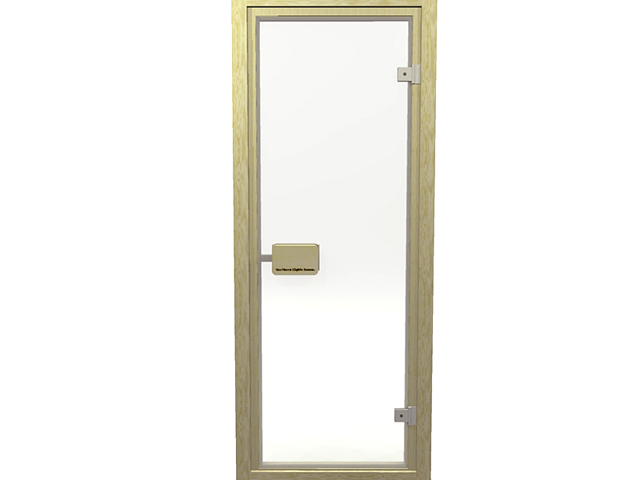 In case you have a window in the room that would be covered by the sauna, not to worry, as a custom sized window can be installed in the sauna back wall. Then first the sauna window can be opened, followed by the room window. And you will still get the light of day in to the room. Make a notification to your landlord, building manager or other required instances before ordering the sauna, and make sure there are not any objections to installing. The sauna is made from natural untreated wood, so the sauna will last for a long time when it is used and maintained correctly. 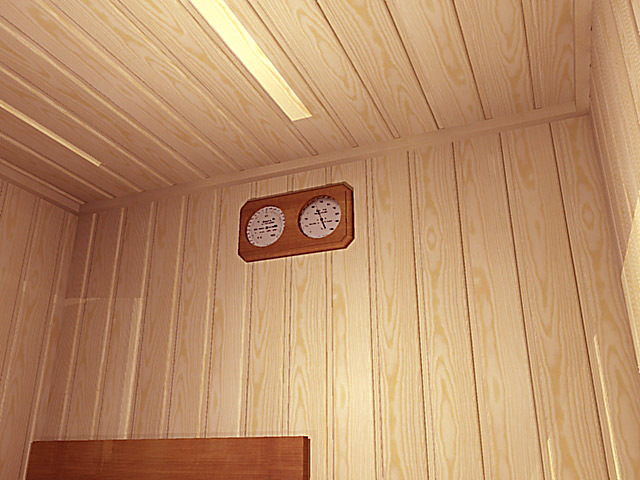 Always protect the sauna wood surfaces from regular spray of shower, so enclose the shower within an enclosure, or at a minimum install a partition wall. 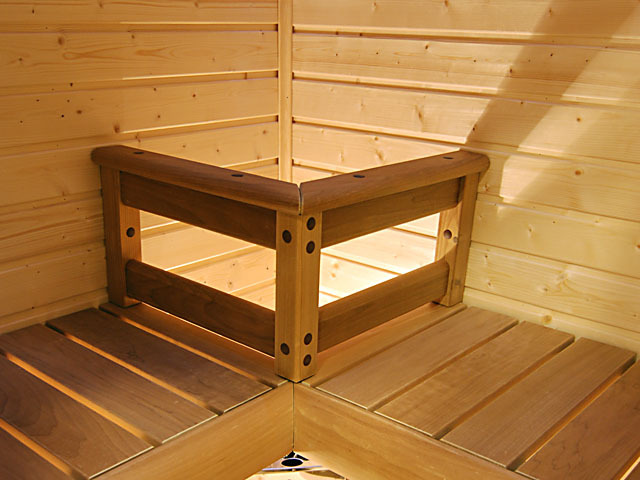 The sauna is not fixed to the floor nor the walls, but it stands freely on its adjustable feet as a piece of furniture. 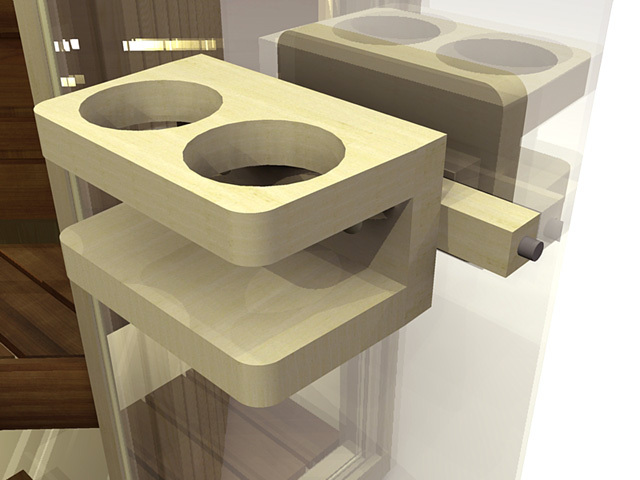 There are no moisture seals or other structures penetrated in the room during sauna installation. 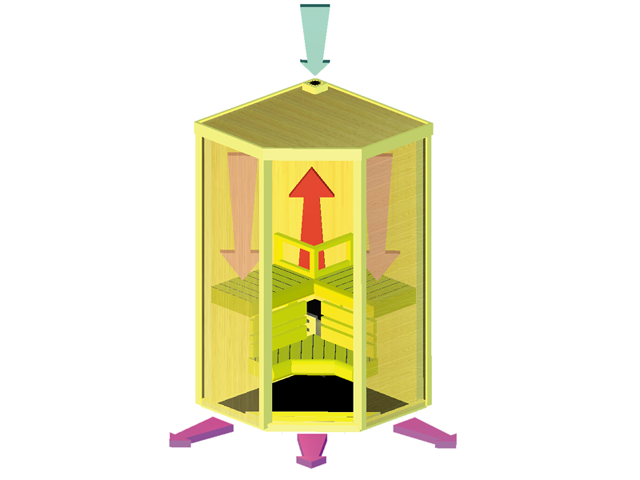 The sauna is not connected to the ventilation system, only its own air fan circulates air through the sauna. The fan brings air in from above the sauna, and pushes it down and out at the floor level. 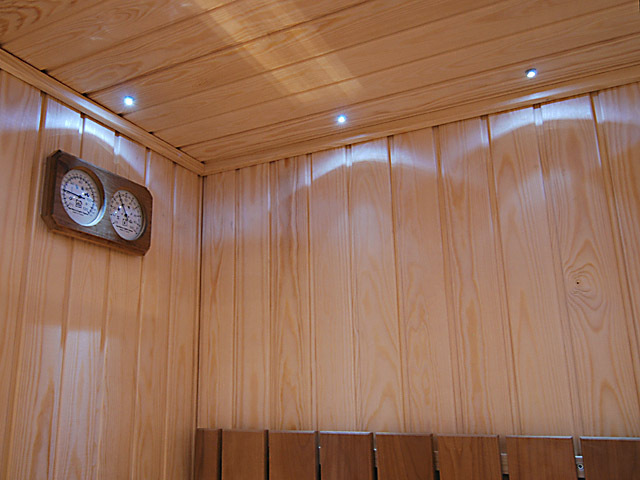 The interior volume of the sauna is small compared to the room volume, so even if the sauna would be totally ventilated to the room, the total temperature of the room will not rise significantly. 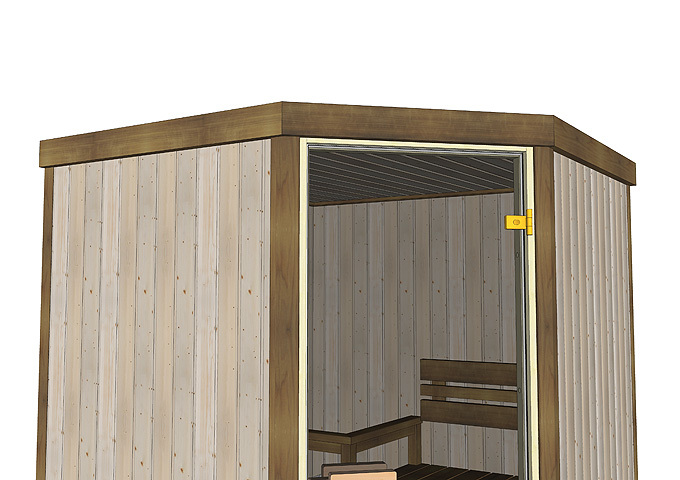 If the sauna is not connected to the building ventilation system, then a pre-constructed sauna is typically considered as a piece of furniture that does not require a building permit nor a HVAC-plan. If you do consider connecting the sauna to the ventilation system, then find out about the required plans and permits. 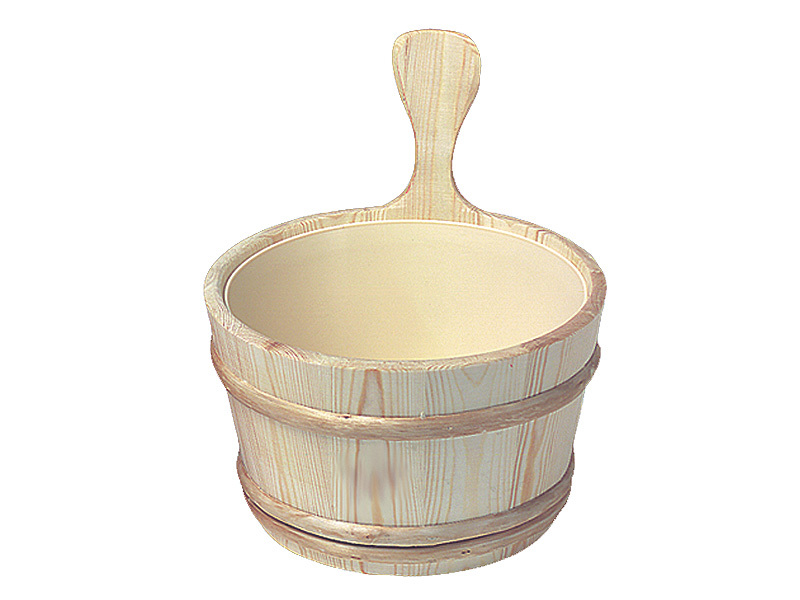 The moisture emitted by the sauna is minimal compared to moisture from a shower. 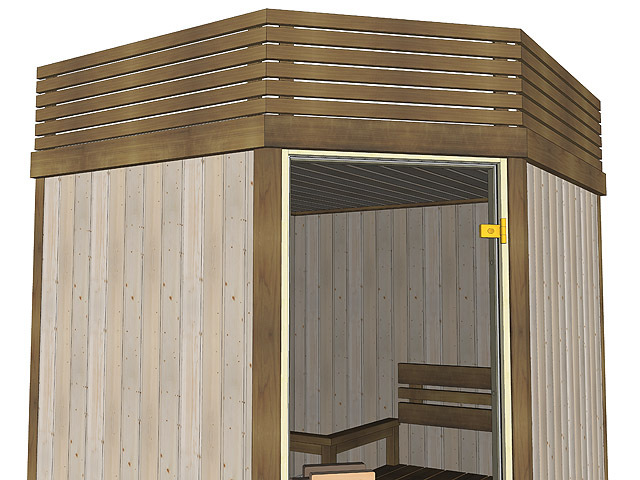 The sauna will not strain the room structures nor the building ventilation system. On the contrary the sauna will help to dry up the room. We recommend opting the wiring kit with the sauna, as it includes a complete kit for the electrical installation and will ease the work of the electrician. 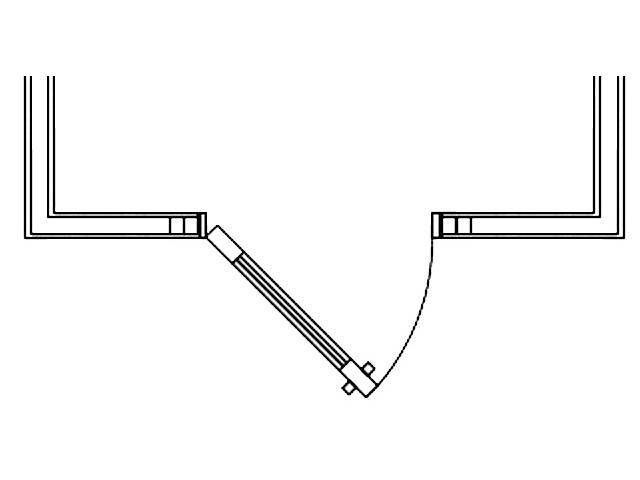 The wiring kit can be opted only with the standard heater. Opting the remote control unit will require an electrician to do the complete installation work. Free of charge delivery to the customers address within most of Europe. 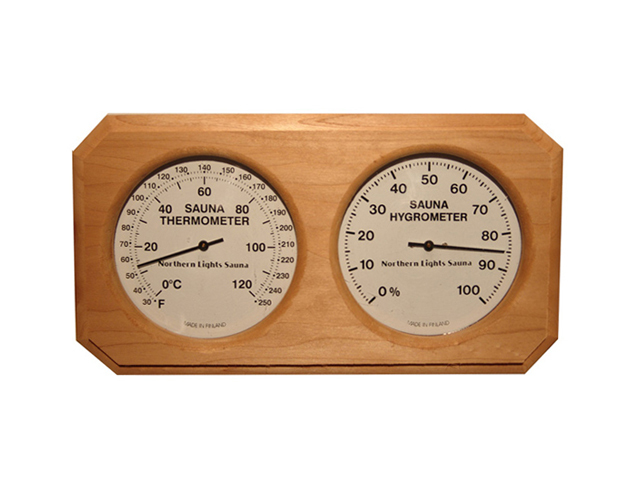 Normally the time from order to shipment is 3 weeks, as the saunas are only made to order. 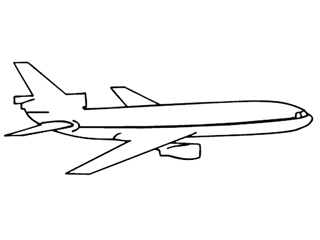 The total delivery time will depend on the destination address and the transport company schedule. The shipment arrival date is given as an estimate, and you can request for a suitable date for you to be present to receive the shipment. 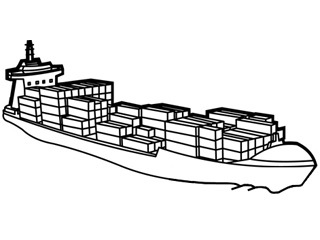 The transport truck will bring the sauna shipment as close to your door as possible, as is attainable by that truck. The delivery truck normally has a delivery route that it follows, and therefore it is not possible to give an accurate time for arrival, but normally the driver will call you. You must sign the drivers shipment documents as to indicate that you have taken delivery, and if you see any shipment damage, that must be noted by writing to the shipment documents. 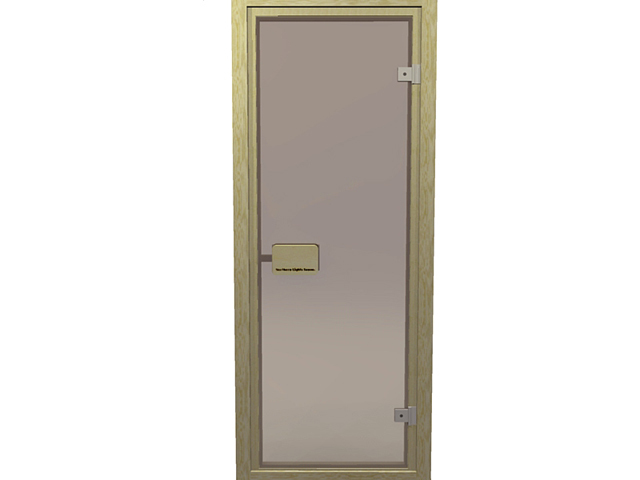 Be careful not to damage the soft wood parts or the glass door, or your elevator, nor your back.